Women: Want to be taken seriously? 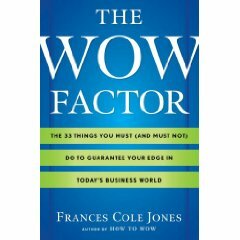 Then try these tips, courtesy of Frances Cole Jones, author of The Wow Factor: The 33 Things You Must (and Must Not) Do To Guarantee Your Edge in Today’s Business World. Because women have naturally higher voices, it’s particularly important to ensure we’re speaking from our diaphragm which gives our voices resonance and authority. To check if you are, place your hand on your abdomen while you speak. If you’re hand’s not moving, your diaphragm’s not engaged. An easy way to practice engaging it is to lie on the floor with a heavy book on your stomach and breathe until the book is moving up and down. When you stand up, your voice will have dropped about an octave. It’s important for everyone to be aware of how they are taking up space. As women, we often make ourselves smaller, rather than larger. As you sit in your next meeting, look around at the posture and attitudes of others at the table. If you’re leaning back with your hands in your lap while others are leaning forward, move to the front of your seat, sit up straight, and lean in toward the group. Also, we trust you when we can see your hands, we don’t trust you when we can’t-keep you hands where others can see them. Listening without interrupting is a vastly underrated skill set– and interruptions come in many forms. As women, we often interrupt by agreeing and encouraging-“Absolutely,” we’ll say, or “I know exactly what you mean,” not recognizing that this can interrupt others’ thought patterns. Instead, I recommend signaling your encouragement and agreement via non-verbal techniques: leaning in, nodding your head, and smiling. What advice do you recommend? The tough go shopping. At least among women. According to a new study, 79 percent of women in the U.K. said they would splurge to cheer themselves up. “Feeling a bit low” was a good enough reason to head to the mall, according to 60 percent of respondents. “This type of spending, or compensatory consumption, serves as a way of regulating intense emotions,” said Karen Pine, a University of Hertfordshire professor and author of “Sheconomics” (Headline Publishing Group, 2009). Do you splurge on shoes to improve your mood? Or at least more cautious. According to finance professors Brad Barber and Terrance Odean, women trade less frequently, hold less volatile portfolios and expect lower returns than men do. These qualities pay off: women’s risk-adjusted returns beat those of men by an average of about one percentage point annually, according to this Wall Street Journal column. So what are you waiting for? Sign up for Pazit’s money club today! Confused by your credit score? Wondering where your paycheck goes each month? Subscribe to the Pazit blog! Want to learn more about Pazit? 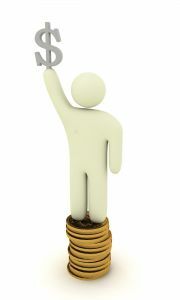 Visit Pazit.org to find out about upcoming workshops, gain access to useful tools, and join The Money Club.